In a preamble to newly proposed regulations that were published in November, the federal government detailed several changes to the tax code that could affect hardship withdrawals in the future. For instance, according to the IRS, taxpayers with 401(k) plans and other employer-sponsored retirement plans, are now permitted to make loans and hardship distributions to victims of last year’s hurricanes and members of their families. This is only one of a few major amendments made to the federal tax code, so if you have questions about this or another aspect of the recent changes, please contact a Florida tax & IRS attorney today for assistance. Cover the cost of making improvements or repairing damage to a primary residence. Although withdrawals are available to many employees, they are not always recommended, as they are subject to income taxes and a penalty for those under the age of 60 years old. State and local government employees with 457(b) deferred compensation plans. Based on the changes made by the federal government, taxpayers who fall under any of these categories, will be eligible to take advantage of hardship withdrawal distributions if they live or work in disaster areas affected by Hurricanes Michael or Florence, including parts of Florida, Georgia, North Carolina, and South Carolina. Even those who qualify for these distributions can only apply if they do so before March 15, 2019. In addition to these changes, the IRS is also relaxing the rules that usually apply to hardship distributions and retirement plan loans. For instance, eligible plan participants will now be able to access their money more quickly. Furthermore, the six month ban on retirement plan contributions that typically applies to employees who take these hardship distributions is no longer in effect. Finally, retirement plans are now permitted to make hardship distributions and loans even if the plan doesn’t provide for such features and plan administrators are also not restricted to the typical reasons for offering these loans, which means that hardship distributions can now be offered to pay for other expenses, such as food and shelter. 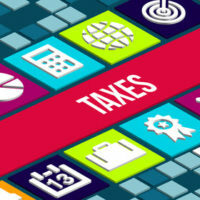 To speak with experienced Florida tax and IRS law attorney Ronald Cutler, P.A. about the pros and cons of requesting a withdrawal distribution, please call 386-490-9949 today.